It’s unquestionable that YouTube has become the primary video platform for music-related content. 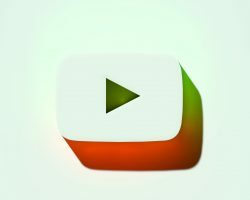 From official music videos and songs to covers and remixes; whatever users are looking for, they’ll find it on YouTube. With more than 1.5 billion users turning to the site every month, and over 2 million artists sharing their art with the world, it’s a place where fans and artists connect and, because of that, this year YouTube has put artists in the spotlight. Official Artist Channels, YouTube Charts, YouTube for Artists and Artist Stories are just some of the new tools and opportunities available for artists on YouTube. Let’s discuss some of these. If you’re an artist on YouTube, your Official Artist Channel gathers all of your content and subscribers from your different YouTube channels into one centralized location controlled by you, your label and manager. The channel automatically programs your music catalog on two new shelves, to feature your music videos, and albums/songs. Your Official Artist Channel is the new channel layout along with the new features and benefits of having an OAC, such as the auto-generated rows for Music Videos and Albums. If there is an incorrect song, video or album being displayed in these rows, you can report a quality issue from this tab. Using Press Kit for Artists, you can manage your photos and bio, which might be used across YouTube’s ecosystem (YouTube search, YouTube Charts, the YouTube Music app, playlists and banners), as well as other Google sites (Google+, Google Play and third party partner sites). Upload a profile photo: Used to represent your YouTube channel. You’ll be redirected to your Google “About Me” page to upload or edit your profile photo. Upload your gallery photo: Used to represent you in other places, like on the YouTube Music app. For consistency, it’s strongly recommended to use the same photo as the one in the previous step. Update your bio: Keep it fresh by adding your latest or upcoming releases. Manage event tickets: If you’re enabled for ticketing, you can see your ticket sales, revenue and where your tickets are sold out. Overview: Shows the overall views and top songs, including premium music videos and art tracks. Discovery: Breaks down the traffic sources to your content and allows you to understand how fans are discovering your music. Fans: Shows a list of the top countries and cities ranked by number of views. You can see additional details and filter the date range by tapping on the card. Your Official Artist Channel allows you to bring all your music together on one channel improving not only your fans’ experience but yours as well. Your music content is organized automatically in two new shelves while still being able to customize the top playlist and trailer. 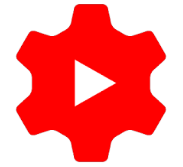 Plus, you can report any issues with your music videos and albums directly from Creator Studio, update your image and bio for display on Google’s ecosystem, and find all the performance data in one place. Your channel should reflect you as an artist, so make the most of it by keeping it up-to-date!